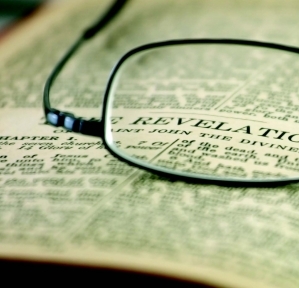 Summary: If there is a most important verse in the Book of Revelation, will it possibly be found right in the middle of the book? If there is a most important verse in the Book of Revelation, will it possibly be found right in the middle of the book? In the paper copy of the King James Version Bible I have, Revelation comprises 16 pages. This places the middle of the book on the 8th and the 9th page. It is a surprising coincidence (or not?) that these two pages cut right through Chapter 12. Revelation 12 recounts the story of redemption and salvation -although from a slightly different angle than it is told in the gospels. Revelation 12 reveals Emmanuel, God With Us. Four entities appear in this chapter: the woman; the Child -His name is Michael, and He is also the Lamb-, the dragon and the remnant. It is easy to recognize that Michael, the Child and Lamb, is none other than our Lord Jesus Christ. From the larger context, we can conclude that the woman cannot be Mary, Jesus's biological mother. Comparing the scenario of Revelation 12, verses 6 and 14, with Revelation 11:3, it becomes apparent that the woman, who was forced to flee into the wilderness after the Child was received in Heaven, must represent God’s true church, which was persecuted by the “beast” power for 1260 years. If this is so, then verse 2 indicates that Jesus is a descendant of God’s church. Indeed, God’s church, the church of Adam and Eve, Noah, Abraham, Moses and David, carried the human lineage of Jesus Christ, the son of David. God had always a small faithful group of people on earth that had the privilege of carrying the Promise of salvation for mankind, whether spiritually, or with respect to Jesus' biological lineage. In this sense, Eve fulfills a dual role: she is the biological mother of all mankind and as such the biological mother of Jesus. But Adam and Eve also represent the first community of believers and thus constitute God’s original church. Ever since the serpent knew about the Promise, he has been engaging in every effort to ruin and destroy the Promise through the constant attack of God’s church. The dragon’s last physical attempt to avert the advent of the Promise was Herods’ heinous command to have all babies of two years and under executed (Jeremiah 31:15; Matthew 2:16). Nevertheless, the Child was born, was sacrificed as the Lamb, and was caught up to God’s throne as the future Ruler of the human race (Revelation 12:5). “Inspiration’s insistent call upon the children of men” has to be viewed in the context of another interesting detail we learn from Revelation 12. In God’s eyes, the woman has always been the same woman, the same entity – in the continuous progression of revealed truth - beginning from Adam and Eve leading to Abraham, Jacob and Moses, then to the apostolic church and the church in the wilderness; finally down to the remnant church. There was no “change in dispensation” in the transition from the Hebrew church to the Christian church. God’s church has always been recognized through the ages by the keeping of God’s law and through the testimony of and faith in the Redeemer. Who, being in the form of God, thought it not robbery to be equal with God: But made himself of no reputation, and took upon him the form of a servant, and was made in the likeness of men: And being found in fashion as a man, he humbled himself, and became obedient unto death, even the death of the cross. Wherefore God also hath highly exalted him, and given him a name which is above every name: That at the name of Jesus every knee should bow, of things in heaven, and things in earth, and things under the earth; And that every tongue should confess that Jesus Christ is Lord, to the glory of God the Father. (Philippians 2:6). And he shewed me Joshua the high priest standing before the angel of the Lord, and Satan standing at his right hand to resist him. And the Lord said unto Satan, The Lord rebuke thee, O Satan; even the Lord that hath chosen Jerusalem rebuke thee: is not this a brand plucked out of the fire? Now Joshua was clothed with filthy garments, and stood before the angel. And he answered and spake unto those that stood before him, saying, Take away the filthy garments from him. And unto him he said, Behold, I have caused thine iniquity to pass from thee, and I will clothe thee with change of raiment. We discovered in Part 2 of this series that “overcoming” means more than passively accepting the change of raiment; overcoming is keeping God’s commandments and having faith in Jesus. In fact, as we read on in Zechariah 3:6-7, And the angel of the LORD protested unto Joshua, saying, Thus saith the LORD of hosts; If thou wilt walk in my ways, and if thou wilt keep my charge, then thou shalt also judge my house, and shalt also keep my courts, and I will give thee places to walk among these that stand by, salvation only starts with the replacement of raiment (justification): it continues to be a process where we walk in the ways of the Lord (sanctification). 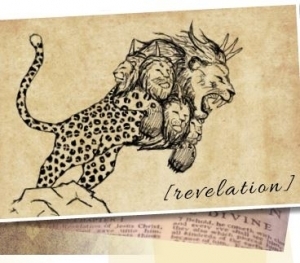 As readers might have noticed already in the “Truth” article (Part 4 of this series), the Book of Revelation shows some parallels to the Book of Ezekiel. It even seems that Ezekiel constitutes a type of the antitype Revelation: while Ezekiel's message targeted the Hebrew nation in the Babylonian captivity, Revelation targets the entire human race in Satan’s captivity. Revelation 12 makes it clear where the great controversy originated, how Christ excluded Satan from the Heavenly courts by means of the Lamb’s sacrifice on the cross, and how He finally takes man’s case to victory as the righteous Ruler of the universe. Likewise, the Book of Ezekiel traces Satan’s fall and exclusion from heaven in Ezekiel 28, a chapter that appears to narrate a story in partial parallelism to Revelation 12. Satan will launch his final military campaign against the remnant, in which he will muster his confederate forces; the last conspiracy against Jesus and His followers. An alliance of the sun worshipping elite, the merchants, the Babylonian religious leaders and the political leaders of a doomed geopolitical system controlled by the great whore (Revelation 17:2.5.; 18:3) will attempt to war against the remnant. But the Lord will deliver His beloved. Revelation 12 also testifies of the remnant’s ultimate response to God’s love, again from a unique perspective that is absent in the rest of Bible: while the gospels emphasize salvation of the individual believer, Revelation 12 clearly conveys Christ’s relationship to and the testimony of the final congregation of believers, the true church. 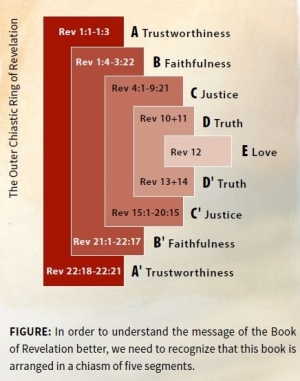 With its chiastic structure unveiled and with all themes identified, what then is the overall message of the Book of Revelation? If we take our themes together: Trustworthiness, Faithfulness, Justice, Truth and Love, we have all the attributes of the perfect character of Jesus Christ! This is the character God wants everyone of us to grow into. These are the traits all Christian parents want to pass to their children. In Revelation 12, God explains where sin and sorrow started (with Satan’s rebellion), where the world’s history ultimately will lead up to (to Jesus ruling with an iron rod), and how we can become a citizen of the new earth: by overcoming by the blood of the Lamb and by having the testimony of Jesus. 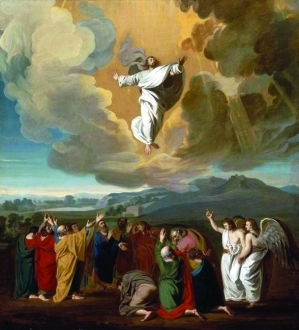 If one were to ask for the single most important chapter of the Book of Revelation, this chapter would be Revelation 12; if one were to read the most important verse of the book, this verse must be verse 11; it summarizes how redemption is obtained: by believing in Jesus, by witnessing and by living a life prepared for sacrifice. the little company who keep the commandments of God and are resisting the supremacy of Satan who numbers the world as his subjects. (Mar 272.3). Since Revelation provides us with the vital information, (God’s intelligence) to win this war for eternal salvation, this last book of the Holy Writ is worth gold. It may be a hard endeavor to memorize Revelation word by word, but it is easy to remember that in it Christ’s character is unveiled; something every child is able to understand. The book that is the “hardest one in the Bible to understand” for accomplished theologians, may thus become the most fascinating book to read and absorb for every Bible student. Every child of God is to become more trustworthy, faithful, just, true and loving; so that God will find them worthy of receiving the seal of God on their foreheads. In this sense, the Book of Revelation truly becomes the scroll of The Manifestation of Jesus Christ. Will you join Ezekiel and John and incorporate it into your heart and mind? Then it is yours to keep!